DOWNTOWN - Just a short walk from all the activities, events and restaurants that Ferndale has to offer. 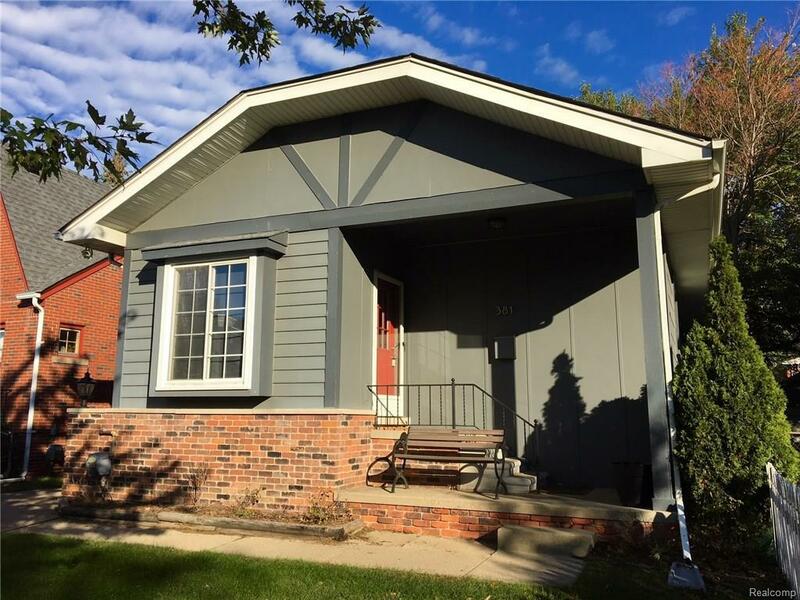 This vintage 1921 Bungalow home welcomes you into a slate foyer and before you is a beamed great room with dramatic brick and split rail fireplace, oak hardwood floors, and high ceilings. The kitchen has been redone with glass tile back-splash and exposed brick for nice effect. Full bath remodeled with unique wood counter and bowl sink. Both bedrooms are nice size and one features hardwood floors. There is a very usable basement with a full bath as well as glass block windows. Outside, there is the front sitting porch, a rear brick paver patio, and a large fenced yard with a shed. Newer central air. This beautifully updated home gives you a chance to be in a great downtown Ferndale location. Make Home Here.